If you’re looking for an SUV with serious chops, then the new Mazda CX-5 is it. In comparing the 2016 Mazda CX-5 vs. the 2016 Ford Escape, Ford’s popular model lagged behind in various key areas while the Mazda CX-5 sprinted far ahead in terms of safety, performance, and extra. Both the Mazda CX-5 and Ford Escape offer standard safety features that include airbag systems, front seatbelt pretensioners, four-wheel antilock brakes, traction control, electronic stability systems, rearview cameras, and rear cross-path warning. Above and beyond these standard features, the Mazda CX-5 provides other premium safety offerings not found in the Escape, including standard whiplash-reducing headrests, which move the vehicle’s headrests forward to prevent neck and spine injuries during a rear-end collision. The Mazda CX-5 Touring and Grand Touring trims offer available Smart City Brake Support. This system employs forward-mounted sensors to alert the driver of an impending crash. 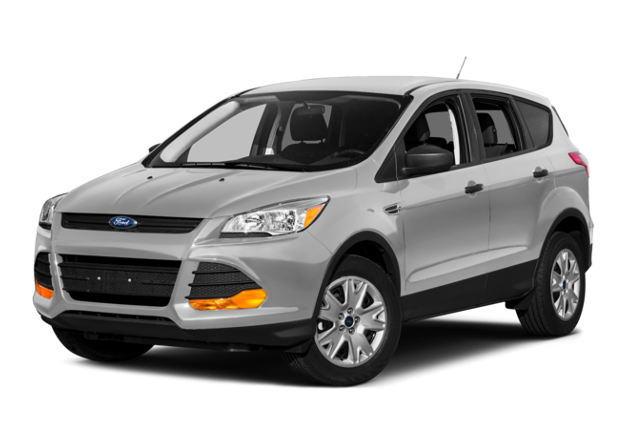 If the driver doesn’t respond to the warning and the system determines a collision is about to happen, then the brakes are automatically applied at full force, reducing or completely avoiding the accident; this feature is not available in the Escape models. An optional lane-departure warning system—available in the Mazda CX-5 Touring and Grand Touring trims but not offered in the Escape—warns an inattentive driver when vehicle starts to leave its lane. In front crash tests conducted by the National Highway Traffic Safety Administration, the Mazda CX-5 received an overall rating of 5 stars, while the Escape was only given 4 stars. In small overlap frontal offset crash tests, the Insurance Institute for Highway Safety gave the Mazda CX-5 an overall rating of “Good,” while the Escape received a “Poor” rating. 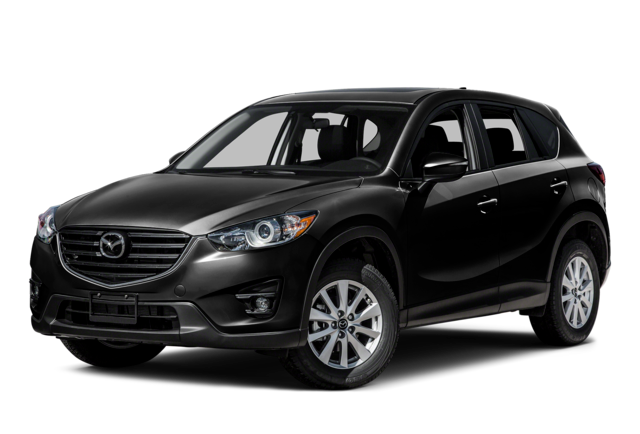 The IIHS additionally named the Mazda CX-5 as a Top Safety Pick+ vehicle for 2015 for its exceptional performance in front, side, and rear impact tests, as well as roof-crush tests. The Escape was not even named as a standard Top Safety Pick vehicle and didn’t make the IIHS list at all. In terms of its interior spaciousness, the Mazda CX-5 offers 5.7 cubic feet extra passenger volume than the Escape, providing 103.8 cubic feet to the Escape’s 98.1 cubic feet. The Mazda CX-5 also offers 0.2 inches extra front headroom, 0.4 inches extra front hip room, 1.5 inches extra shoulder room in the front, 2 inches extra legroom in the back, 1.3 inches extra rear hip room, and 0.2 inches extra shoulder room in the rear than is found in the Escape. The cargo area is also greater overall in the Mazda CX-5, which has about 5 extra inches of seat length in its second row than the Escape, as well as about 12 inches greater maximum width, about 1 inch greater minimum width, and 0.1 inch extra height. In skidpad tests, the Mazda CX-5 Touring trim handled at 0.84 Gs, while the Escape Titanium AWD trim achieved only 0.81 Gs of cornering force. The Mazda CX-5 boasts a turning circle that is 2 feet tighter than the Escape’s, with a 36.7-foot turning circle compared with the Escape’s 38.7-foot turning circle. The Mazda CX-5 also offers superior off-road capability thanks to its greater maximum ground clearance of 8.5 inches versus the Escape’s 7.9 inches. In the area of towing, the Mazda CX-5 also outdoes the Escape, offering a maximum towing capacity of 2,000 pounds versus only 1,500 pounds in the Escape. Drivers can test the supreme new 2016 Mazda CX-5, and explore its many superb features at Biggers Mazda. Visit or contact us today, and one of our friendly team members will set you up on a test drive.